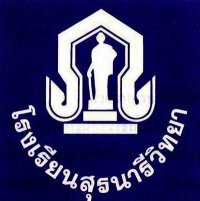 Suranaree Wittaya school in Nakhon Ratchasima. It is a girls only fee paying school often described as the top school in the region. It permits teachers to hit children and when they do so takes no action against the teachers involved. There was a video posted on youtube of a teacher beating several girls in 2008 (three years after it was made illegal) but the video was removed in January 2011 after the school was investigated by the Ministry of Education over the incident. The teacher is this video subsequently “retired” biut faced no official sanction or punishment as far as we are aware. If she did this was not officially published by the school. The video can now bee seen on youtube as below. Yet another teacher who attempts to protect child abusers at Kanlayanee SiThammarat school. In a conversation today Geraldine Daray-Pugoy says that she has seen many Thai teachers abusing children but has never tried to stop them saying it is part of Thai culture. Sorry Ms Daray-Pugoy it used to be part of Filipino culture too 20 years ago but it is wrong so they stopped it (19 years ago to be precise). The “culture” argument holds no water – it is ILLEGAL and teachers should not break the law. Teachers in your own country respect the law or they are punished. Why do you think it should be any different here? Do you think it is part of Thai culture for teachers to somehow be above the law? She went on to say that the teachers who abuse children do it because they love the kids – sorry again Ms Pugoy but you are showing a distinct lack of intelligence and training here. If you love someone you do NOT abuse them. She should read this article which explains the difference between discipline and abuse. 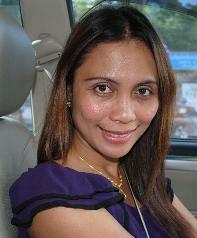 Ms Daray Pugoy is a Fillipino working in Thailand. As a foreigner, from a country where such abuse is specifically prohibited, she should know better than to try and defend the abuse of small children by adults in schools. She should also make herself aware of her duty to protect the children in her care and if she fails to do so her work permit, and teachers licence, should be removed at very least. The Ministry of Education regulation on haircuts (in government schools) was removed in May 2003, yes thats eight years ago! the new regulation stated it was up to each individual school to set their own rules on the matter. 1. It continues to institutionalize some students to ensure they all look the same and restricts individual development. 2. It stigmatizes students in some schools with the label that they are somehow less “worthy” or even “trustworthy” than students at better quality schools. To give an example, there are five (large) schools in my home town, three government schools and two private schools. Four of the schools do NOT implement the hair cuts and one does. The results are that kids at the haircutting school are made to feel like second class citizens – unable to understand why their peers and friends can be different. Worse still the kids at the school with the haircuts are “identified” as being of lower grade as few parents choose to send kids to this school but often have no choice if they fail to get seats at the others. These kids are also mercilessly laughed at by the kids in the other four schools about their lack of choice. This creates a two tier system where one school is perceived to be of less value than the other four. In addition, the haircuts are infringing on childrens personal rights outside the classroom and that is something no school or school administrator should have a right to do. It is one thing to force a child to have a short haircut in school but it is an entirely different matter to be forcing them to conform once outside the school gate. This is depriving children of a very basic right to choose. So why do some schools still do this? 1. Teachers and administrators are simply stuck in the old days and ways. They just don’t understand the damage they are doing by enforcing archaic rules. 2. Administrators (wrongly) believe that “uniformity” is still the best way. They have no training or education themselves about the negative aspects of this practice. 3. Some teachers are simply obsessed with retaining their power and control over the lives of their students. 4. Most likely, the teachers and administrators at these schools don’t actually know that the rule changed, despite it being eight years ago. EVERY teacher we spoke to at the school I mention said they believed it was a national regulation for kids to have these ridiculous haircuts. A recent study paper by Mahidol University stated that it was vital for the future of the Thai education system that kids be encouraged to develope their individual personalities as the practice of producing automatons was holding back Thai society as a whole. The answer is simple – someone needs to educate the educators about the harm caused by this practice, especially regarding the social stigmatization of kids at these shools who should be made to feel equal to their friends. We are all in favour of ensuring “reasonable standards”, indeed the MoE states that the haircuts must be tidy and girls must tie up long hair in pony tails or plaits whist on the school premises. However there can be no doubt in anyones mind that forcing kids to all look the same stunts their pesonal developement. Any school that still practices this out of date system is doing their students no favours at all.